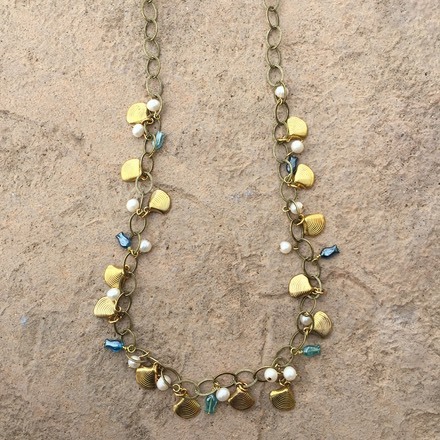 The Seaside Necklace is a fun design that includes Clamshell Charms, White Freshwater Pearls and adorable little Glass Fish! 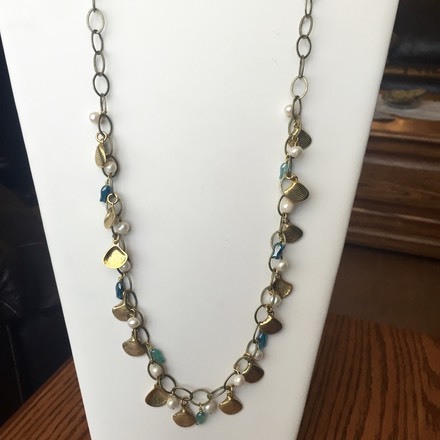 Antique Brass chain with a hook clasp. Total length is 35-1/2", but can be adjusted shorter because of hook clasp/chain closure.